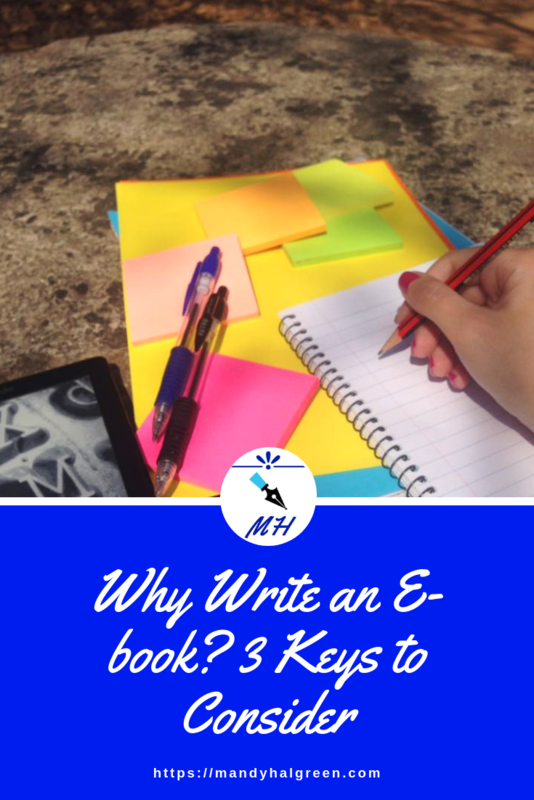 Why Write an E-book? 3 Keys you Need to Consider! 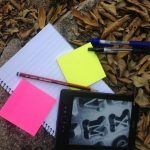 E-books can be incredibly versatile tools in business but they can be overlooked due to the fact that they aren’t ‘books’. They are seen as substandard books. I want to break into this to say that we are talking about the E-book as a PDF download, not anything you read on iBooks or Kindle. Those books are formatted to be read on Digital E-readers. Back to E-books, I believe that they can be great tools to grow your business and especially your email list. Let’s dive into each of them! Leads in your business are essential. You need new people discovering you and your products and services. An E-book can be a great tool because it can allow you to track leads. If you are linking your E-book to a bit.ly link you can track where the most downloads are coming from. If you are giving it to people you are building relationships with, you can follow up and get feedback from them. If it’s on your website and you have tracking software such as pixelyoursite.com, you can use Facebook Ads to retarget those leads. The next question is – What do you do with these leads? If they subscribe they can go on to your list and enter a sales funnel. If you are messaging them, you can offer a freebie upsell or down or even a call to talk about your 1:1 service. If one of your posts is getting a lot of content downloads, place the download in your resource library to encourage email sign-ups. With your Facebook Ads, you can lead people into a sales funnel with an offer at the end. Sales do not have to be difficult and it can be easy to get people into your sphere of influence. E-books contain so much value! You are sharing a piece of knowledge with your audience and showing your expertise. There are mixed opinions as to whether it takes more out of you to create an E-book versus a book. Personally, I think it depends on preparation and self-care. Anytime you create something there should be value – if there isn’t why are you creating it? One of the most enjoyable things about creating an E-book is the creative energy that goes into it. It can be so much fun to find graphics and colour palettes to compliment your brand as you create your E-book. Canva is one of the most easy-to-use and fun sources of inspiration for anyone creating an E-book. It is simple to use and the many templates make it easy to find something that works for you. 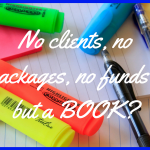 However, the biggest thing about creating an E-book is what’s inside it. The idea is crucial. It’s important to make sure that it’s going to fit into your business and get you leads sales and value. Your content is important in your E-book. If you’re excited about creating an E-book but concerned about how to put it all together, grab my free book writing process checklist from the Resource Library!